Elections in an Uneducated Pakistan? 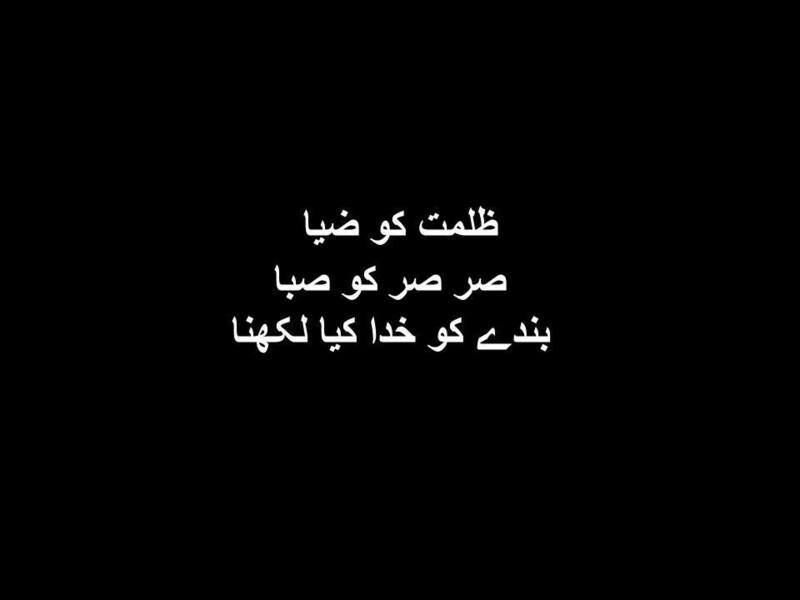 *First posted on Seedhi Baat. Voter illiteracy is often considered to be the bane of democracy in a developing country. The perception isn’t any different for Pakistan. ‘According to Unesco, only about 56 percent of Pakistani adults are literate — in contrast, South Asian neighbors India and Sri Lanka boast literacy rates of 74 percent and 97 percent, respectively. Literacy rates in Pakistan are even lower for the rural poor and for women. Unesco estimates that some 70 percent of Pakistan’s rural population is illiterate, with even higher rates for women. 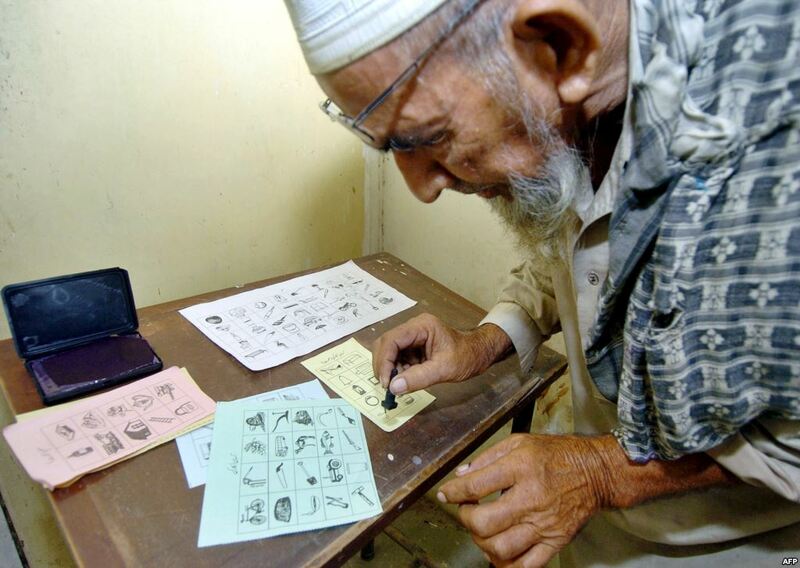 While the illiterate cannot be barred from voting, Saadat Ali Khan, a research associate at the Sustainable Development Policy Institute, warned in Pakistan’s Express Tribune newspaper that illiteracy plays into the hands of corrupt politicians who try to win votes on the basis of religious, tribal or ethnic affiliations, rather than on their contributions to the nation. Indeed, in Pakistan’s rural hinterlands, voters (most of whom are illiterate) often vote for candidates who have paid them off with money or food or promised favors. “Illiteracy undermines the very foundations of … democracy,” warned Unesco in its report on Pakistan. As illustrated by the article, illiterate voters are largely perceived to make unsound judgments at polling stations, casting votes on the basis of biraderi, sects, caste, religion, ethnicity, owing to their state of being unlettered. While it is true that many do vote on these lines, it is important to understand the differentiation between illiterate and uneducated voters, that is frequently muddled up as one. A voter may be illiterate but not necessarily uneducated. The literacy of a voter relates to his ability to write and read, the latter relates to his level of information and degree of being informed as a voter. Education and illiteracy are indeed crucial issues that require the imposition of emergency by the state. Indeed literacy, and that which goes beyond reading and writing, coupled with voter education would work as catalysts for the proper functioning of democracy and the betterment of Pakistan. But currently, the level of awareness of the common man in Pakistan is also evolving. While there may be a range of factors which have and are contributing to this change, the most notable has been the media. 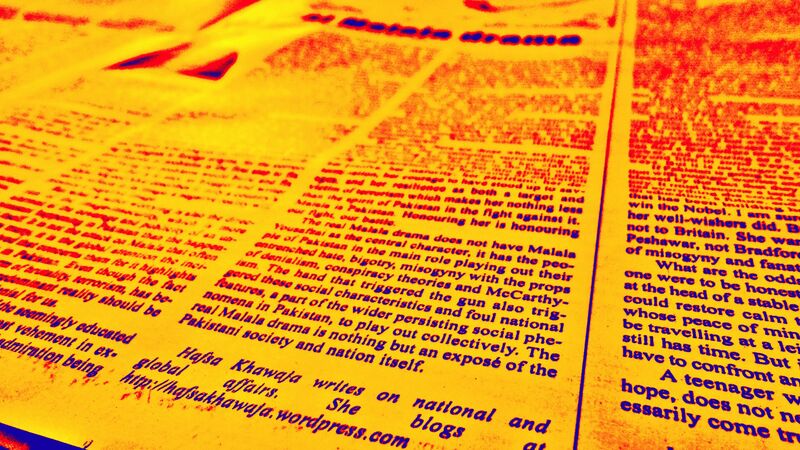 Certainly illiterate voters are unable to benefit from the print media but presently Pakistan hosts a robust, vibrant, free and independent media in a booming industry. Especially electronic media. It has grown into a force to be reckoned with for both the state, the government and those aspiring to participate in them. Standing at the forefront of presenting expositions and hypocrisy on part of those that seek to rule and govern the nation, the electronic media exercises a mighty influence over the formation of people’s opinions, perceptions, choices, biases and ideas by continuing to impart such information and knowledge. Pakistan is also home to a nation increasingly owning and using mobile phones and televisions. The increasing usage, availing, penetration and accessibility of technological products and electronic items has connected people to the flow of information transmitted through them. In a developing country like ours, which is struggling to wriggle out of a siege of deep-rooted structural and cultural detriments, votes are not simply determined by a marriage between free will and choice of an individual. On practical grounds, votes are subject to a range of elements: feudalism, entrenched party loyalties, patriarchy, ignorance, threat of violence and more. It is believed that illiterate voters are more susceptible to exploitation by the aforementioned factors, but here is where the crux of the argument lies, illiterate but educated voters can avoid exploitation and unsound judgments. The IBTimes article mentions the instances of illiterate people voting on the promises or provision of food and money, but this hardly results from illiteracy than it does from poverty. It is unwise to assume illiterate voters wholly lack reasoning sense, they may not be able to read and write, but a degree of generosity must be awarded to the illiterate people in accepting that they do posses basic sense of both reasoning and constructing a direction for their voting. Their can’t be and there isn’t a monopoly of common or basic sense and logic that is independent of formal education. Being the most affected portion of the class hierarchy, the poor and illiterate have the strongest and greatest desire for shelter, clothes, bread and butter, a square meal and a better future for their children: a prosperous Pakistan. If they are forced to turn to faulty political choices, it must be reiterated, that it has often more to do with poverty than illiteracy. Alongside this, it should be acknowledged that there is no such guarantee that formally educated or literate people make the best of political choices through voting. Around the world, many literate and illiterate people alike have often voted in the worst of rulers and governments, and even supported them. 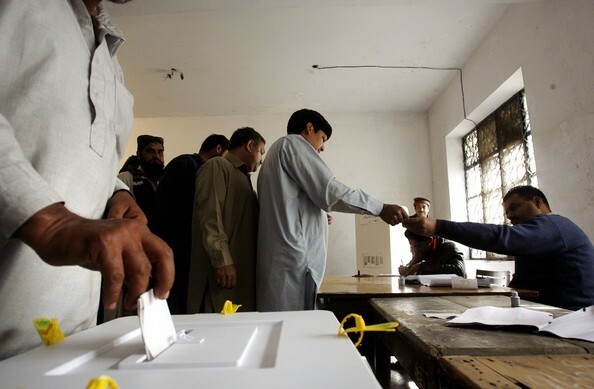 It is only through constant and continued democratic procedural cycles of elections that the political choices of people in Pakistan can be matured through experience and information which act as instruments of education for voters. At the end, it must be realized that the average Pakistani today, regardless of his literacy and illiteracy, is palpably a more educated voter than he or she was years ago. They are more empowered by the vast free, fluid flow of information which exemplifies the age of today. And as illiterate people become educated and more informed voters, things in Pakistan sure are changing and heading in the right direction. 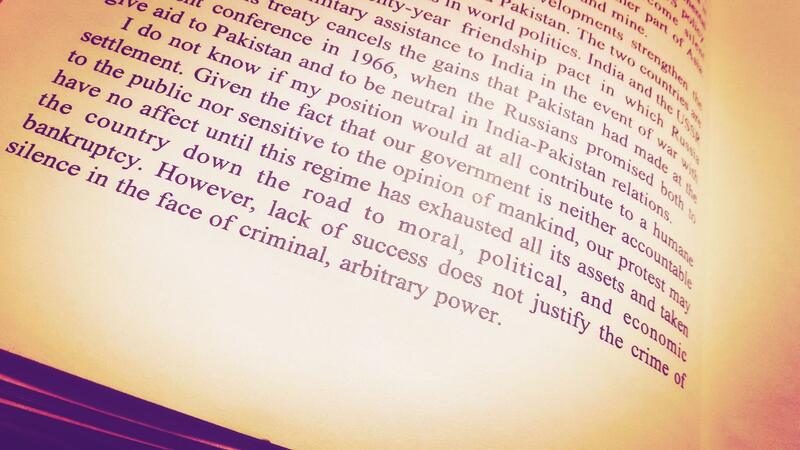 This entry was posted in Pakistan-Centered and tagged Democracy, Education, Elections 2013, Illiteracy, pakistan. However, US is also a highly litterate country. Democracy doesn’t seem to be working too good for them either. Just sayin …. What I feel is that for interim government, one of the priorities should have been to let people know how democratic systems work. However, I feel that who have borne the brunt of feudal, know their lives and solutions better even sans democratic processes. There lack of formal education is termed as illiteracy but that does not make someone uneducated. While considering pakistan or any other country most of the experts ignore couple of factors on ground while making a comparison. I.e. in case of Pakistan there is a east majority of people who do not have formal education but they can not be termed as illiterate there is a factor of street smart which is very strong. Another thing quite deep rooted in pakistan is the romance with discussing politics no matter where you are it somehow comes in the discussion and even before the media such sittings have been a awareness source of not so educated. Education indeed is an important factor and indeed it is solution of our all the problems but when talking about it one should not ignore the factor of informal education. As far as election goes in a democratic environment everyone gets a fair and equal chance and to let the things evolve and fix themselves a process demands continuity. Having said that education does play role in better decision making but education of voter is one out of many important factors. Politics has always been the center of all debate in Pakistan among us Pakistanis. We equally hate and love it. Also, the poor and illiterate people are well-aware of their needs and deprivations. Heck, its visceral for both them and us!